비즈니스 및 레저 여행 모두를 충족시킬 수 있는 본 숙소(피에드라 스위트 아파트호텔)는 도시에서 가장 유명한 지역 중 하나인 산텔모에 있습니다. 이 곳에서 생동감 넘치는 도시의 많은 것을 최대로 즐길 수 있습니다. Yuyu Tango, 무세오 아르젠티노 델 티트리, Alma Buenos Aires 등과 같은 다양한 명소에서 투숙객들은 모험을 즐길 수 있습니다. 본 숙소(피에드라 스위트 아파트호텔)는 피곤하고 지친 여행자들을 기운 나게 하기 위한 우수한 서비스와 모든 필수 시설을 제공합니다. 이 멋진 숙소에서 머무르며 Wi-Fi (공공 장소), 공항 픽업/샌딩 서비스, 패밀리룸, 여행 안내소, 세탁 서비스 등을 즐길 수 있습니다. 본 숙소에는 최고 수준의 편의와 편안함이 갖춰져 있습니다. 일부 객실에서 평면 TV, 에어컨, 미니 바, 발코니/테라스, 방음 등을 제공합니다. 본 숙소 투숙 기간 다양한 여가 시설 등을 이용할 수 있습니다. 본 숙소(피에드라 스위트 아파트호텔)의 좋은 위치와 서비스를 충분히 즐겨보세요! 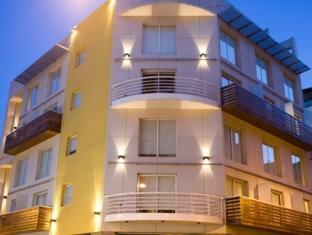 The Piedras Suites Hotel was the perfect solution for three people. The couple was able to stay "upstairs" and have its own bathroom, while the third person stayed on the sofa-bed and had access to his own bathroom and shower. We didn't use the kitchen area much except for aperitifs, but it was nice to know that we could do so if needed. The balcony was useful for the smoker among us and it was great to have air conditioning during the hot days. Overall, the room was very comfortable. Some downsides were the spotty wifi, the South-American only electric plugs (some Argentinian hotels & homes have dual South-American/European plugs) and the breakfast was just ok. However, we really liked the location and the staff. 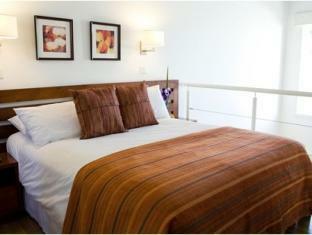 The apartment is very nice, with modern decor and complete amenities, including a kitchenette with all utensils. The loft area where the bed is can get a little warm on hot days, as the only AC unit does not blow chilled air up. But there is a ceiling fan to compensate. There is 24-hour staff at the reception and they are very helpful with information. Estancia cómoda. El desayuno está bien. La ubicación en San Telmo es interesante, hay una serie de restaurantes en la cercanía atendibles y a precios razonables. La atención en mostrador fue buena, pero la atención telefónica cuando quise cancelar mi reserva días antes porque había un paro general y no podría llegar a Buenos Aires no fue satisfactoria, no accedieron a ninguna forma de hacerlo. La habitación doble es amplia, aunque el baño es pequeño.